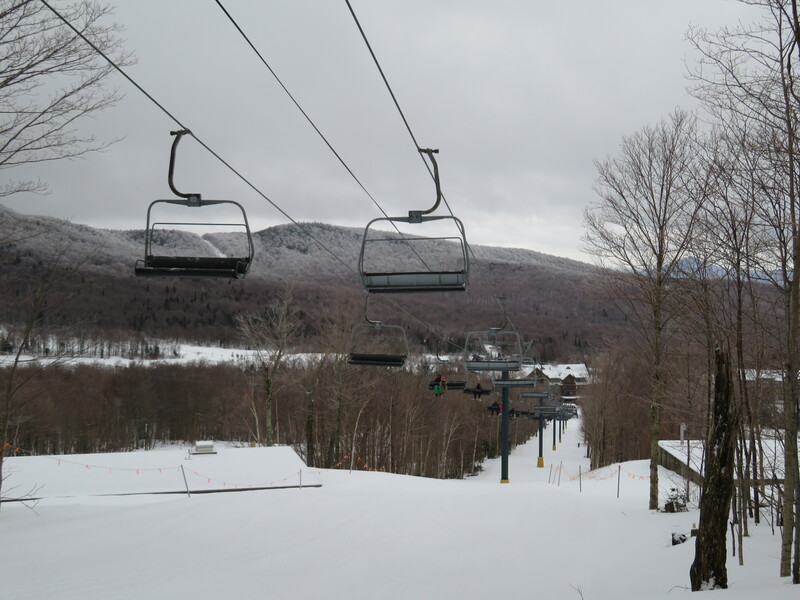 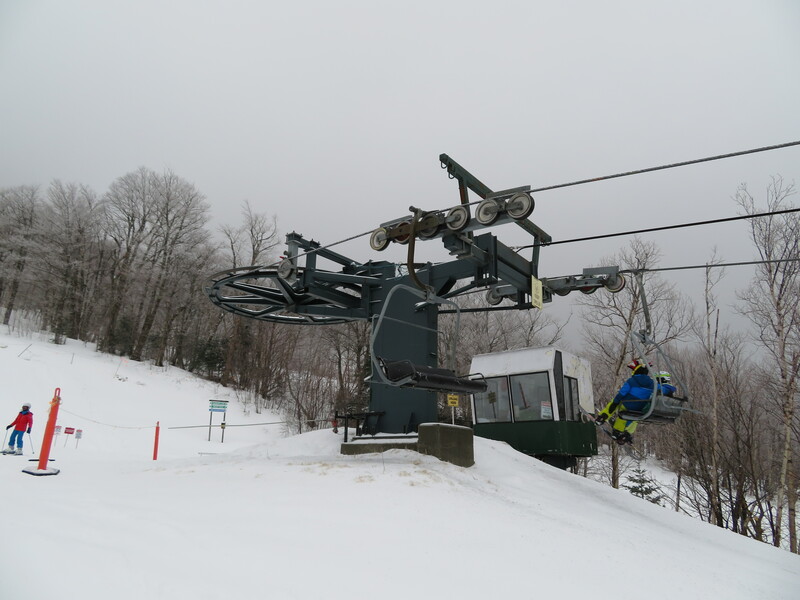 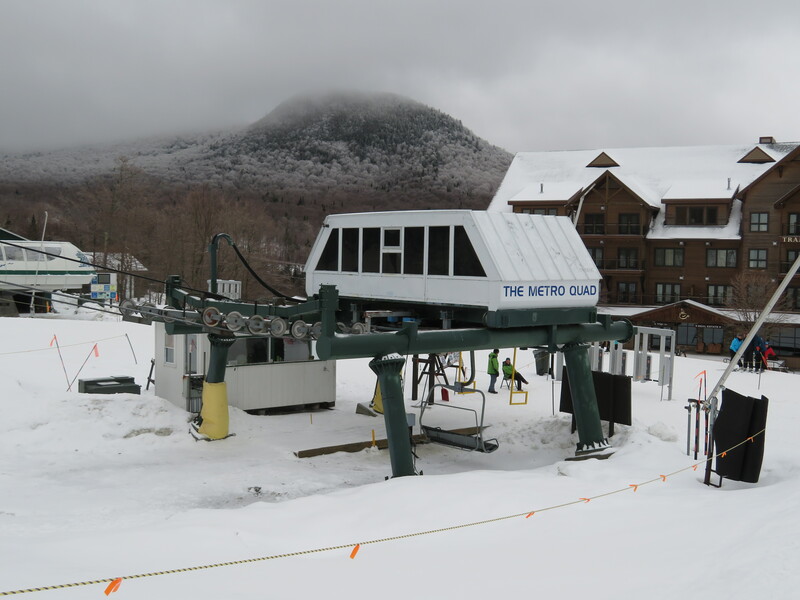 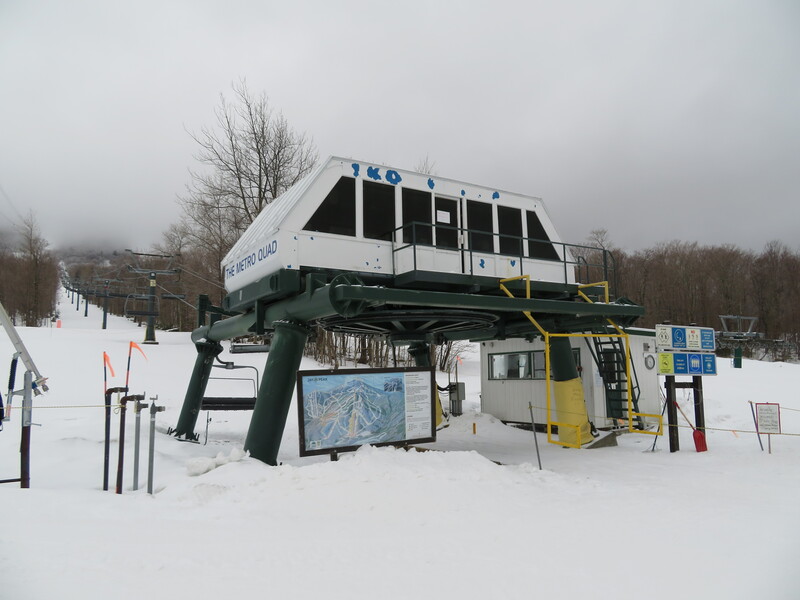 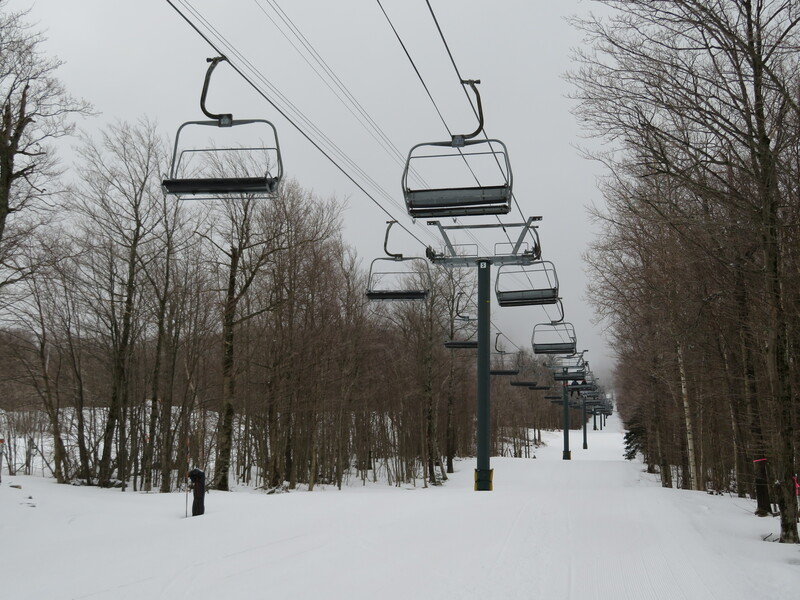 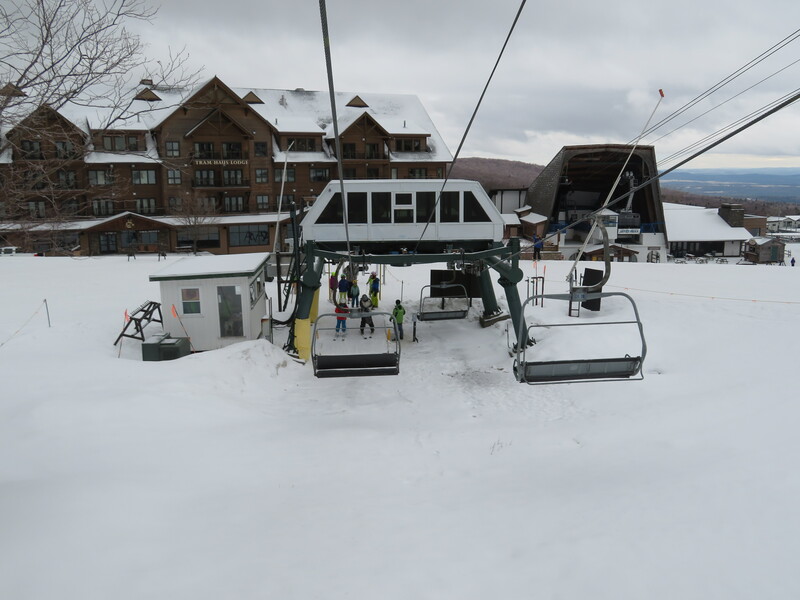 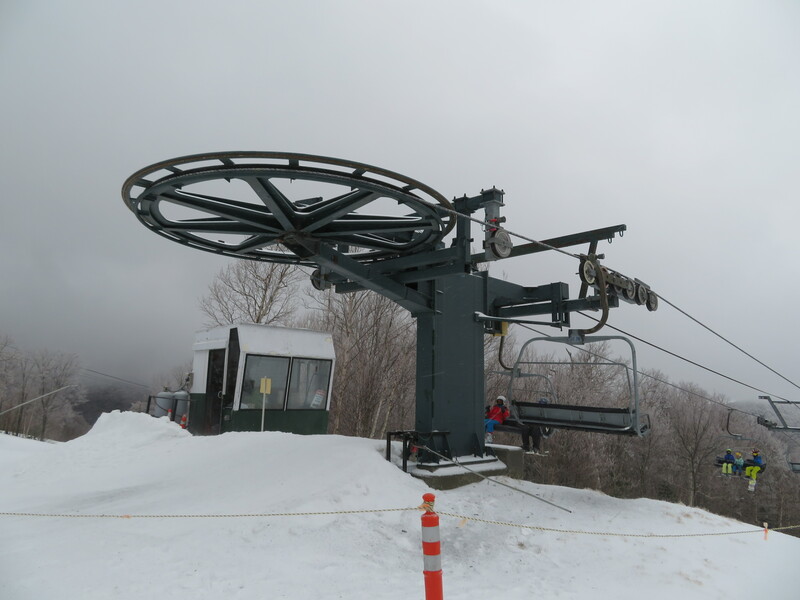 Jay Peak purchased this lift from nearby Sugarbush. 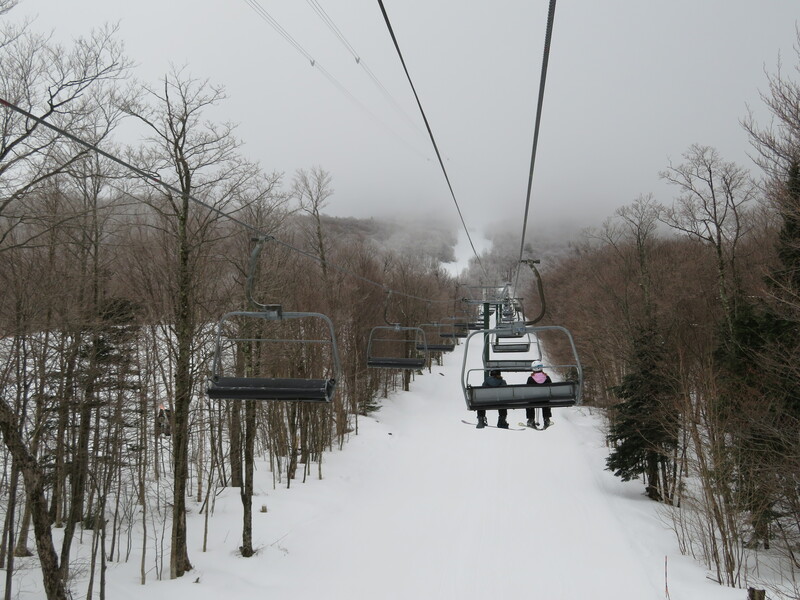 Arriving at the top station. 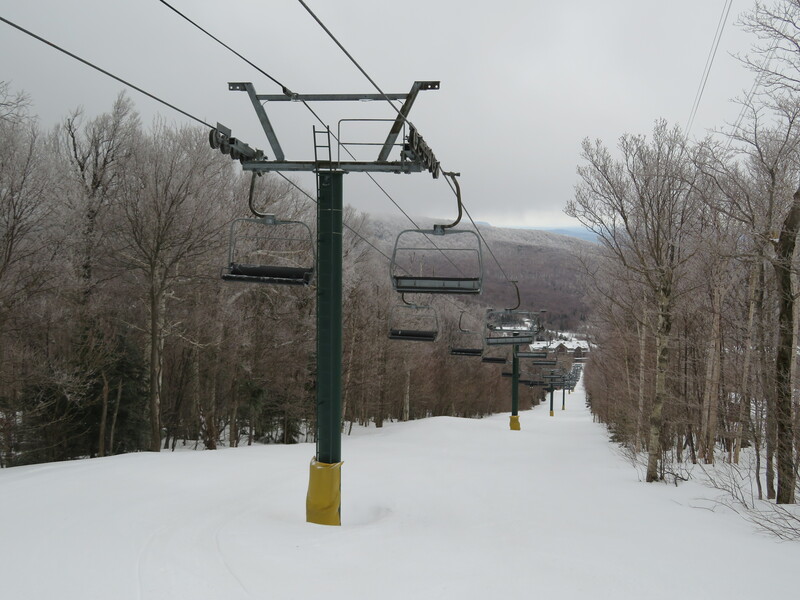 Looking down from the summit. 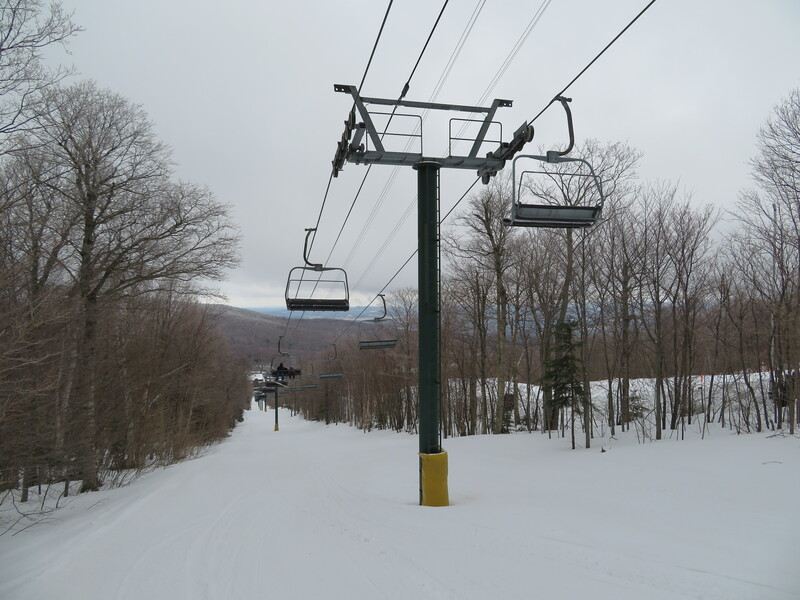 Middle section of the lift line. 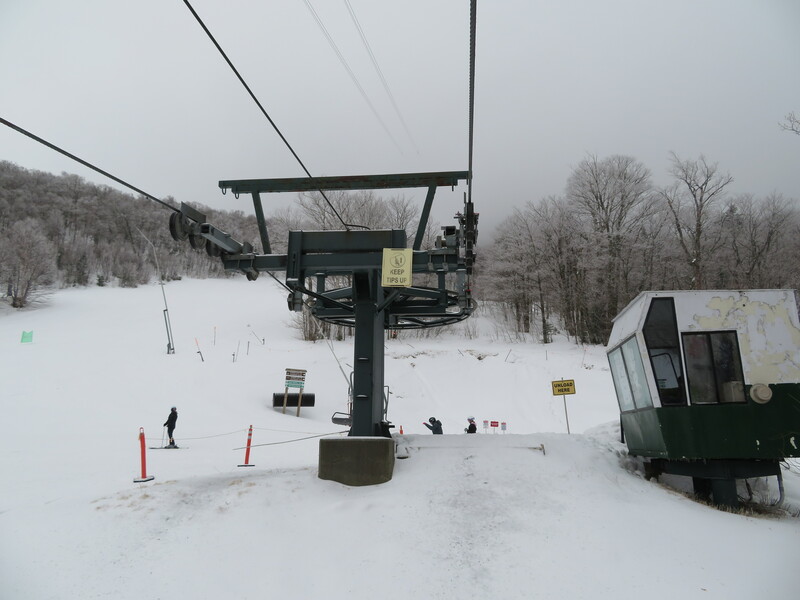 Another view of the line. 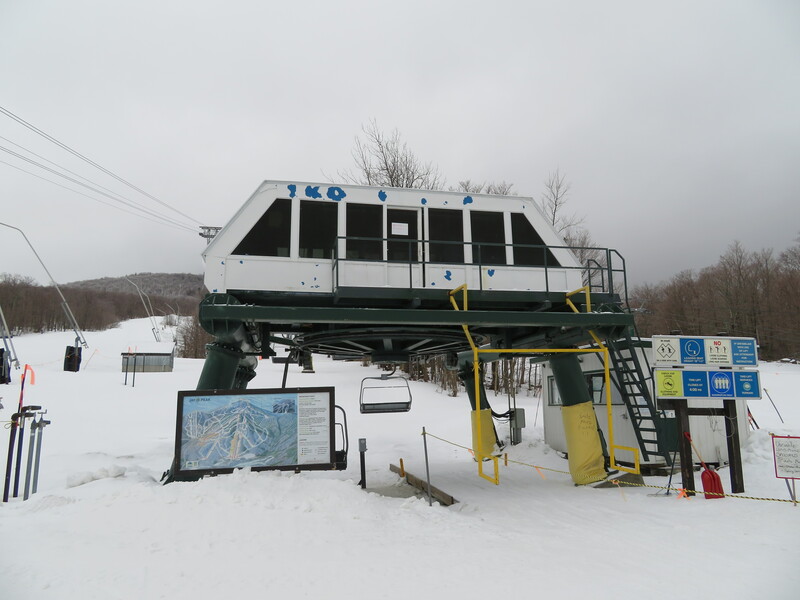 Drive terminal next to the Flyer.